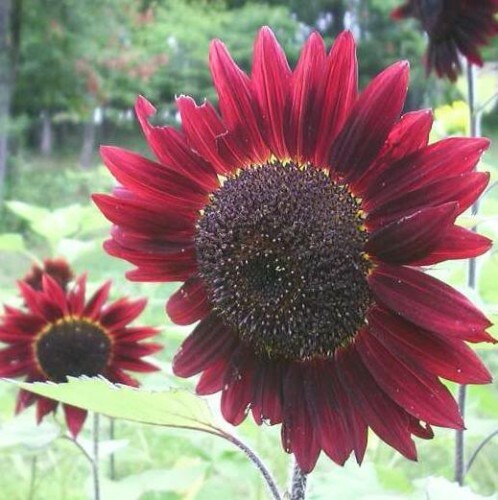 Velvet Queen Sunflower-(Helianthus annus)- This striking sunflower has velvety, dark mahogany-red petals with an almost black center. Considered the darkest of all sunflowers Well branched, free-flowering plants with strong stems make this an ideal sunflower for borders or cut flowers. Seeds are great for birds. Plants grow 5-7' tall. Bloom size is 6 inches across. Can be used for cut flowers.